It’s a pleasure when the client is open to creative concepts. 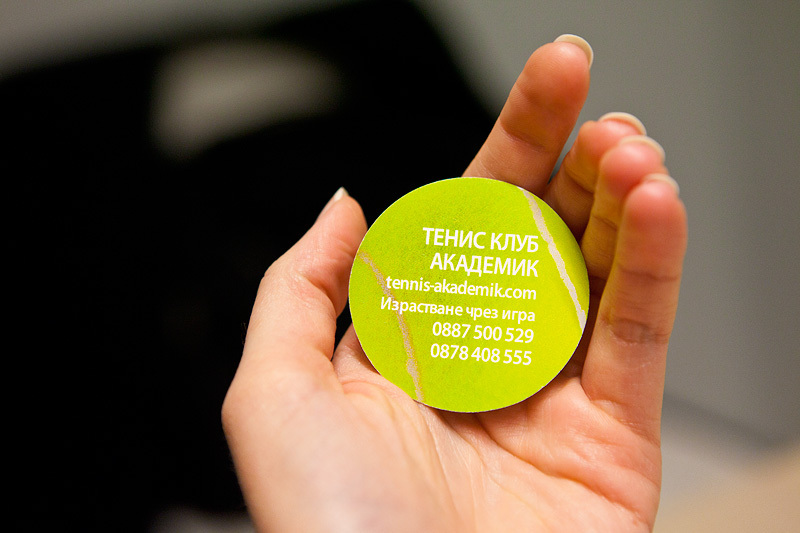 Our clients from Tennis Club Akademik trusted us to create a non-conventional design for their business cards and this is the result. This business card design is an example of how a clever design idea can make a product attractive and noticeable without extra cost. We used a ready die cut. 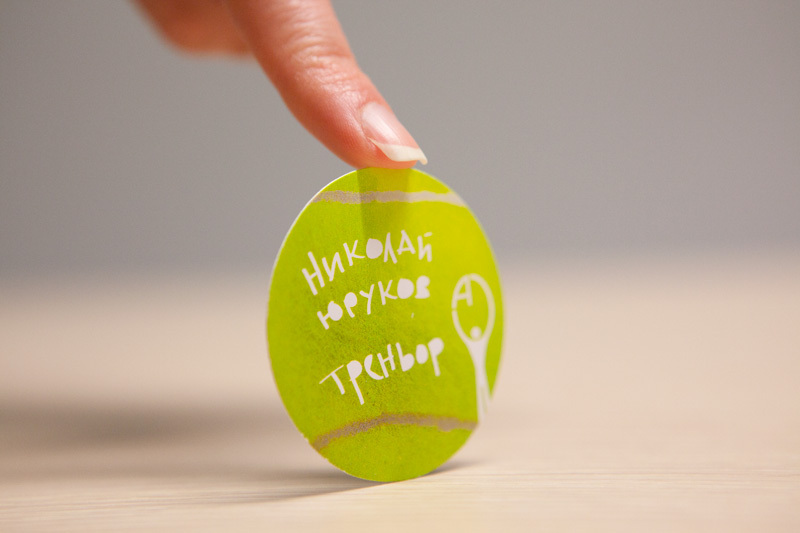 The letters are hand drawn – those with the circular shapes are intentionally designed as tennis balls. 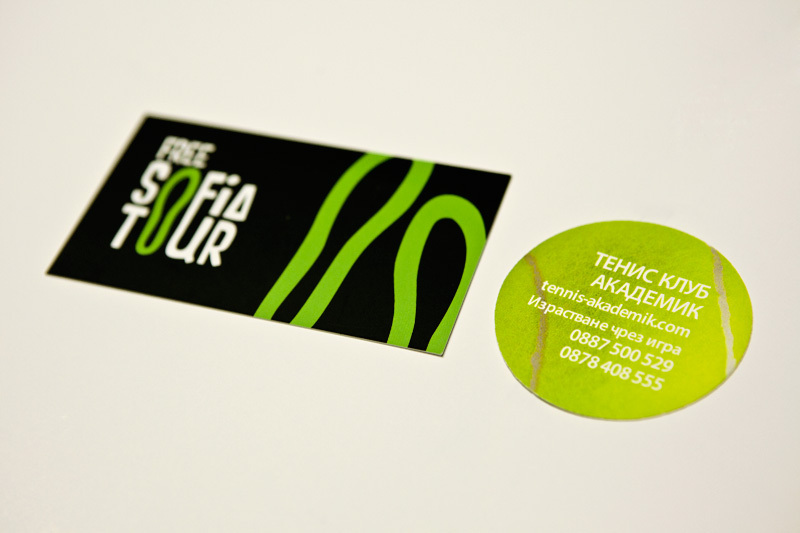 As you can see the size of the card fits the standards – 5 cm diameter. Perfect to put it in your wallet or card holder.